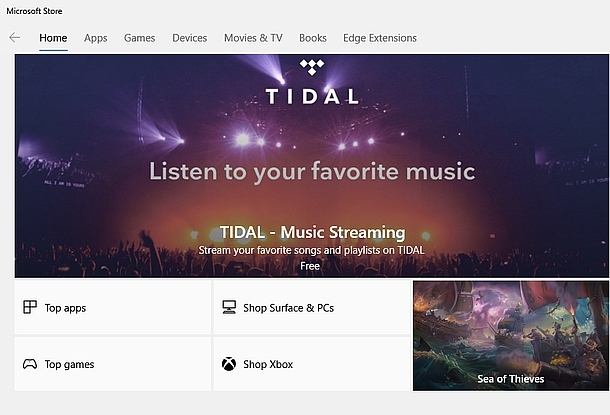 Although the TIDAL music streaming app is now freely available for Windows 10 users via the Microsoft Store, to access the entire library of over 60 million tracks and 244,000 music videos, a paid membership is required. The two choices available are the US$9.99/month Premium plan and the US$19.99 HiFi membership. 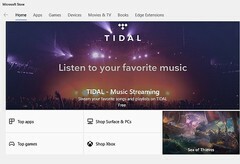 Windows 10 users looking for a streaming app in the Microsoft Store have quite a few interesting choices, including Spotify Music, iTunes, Amazon Music, Pandora, and more. Yesterday, Tidal has been added to this list of music streaming apps as well. According to Microsoft, Tidal customers have access to "an unparalleled music experience" thanks to the library of over 60 million audio tracks and 244,000 music videos, as well as thousands of curated playlists and hundreds of live events. The users of the service can pick a Premium membership, which comes for a monthly fee of US$9.99 and delivers an ad-free lossy listening experience, but audiophiles definitely should go for the lossless sound provided by the HiFi membership. However, this high fidelity experience also comes for a higher price of US$19.99 per month. What makes Tidal stand out from the crowd — except the rather high price of the lossless plan — is its generous amount of exclusive content. The list of Tidal exclusives includes various listening parties, events, and live-streamed concerts with artists like Nick Jonas, Nicky Minah, Lil Wayne, and more. However, audiophiles looking to stream their music don't have many better alternatives, either. If you are using a much better lossless streaming service, you are welcomed to share everything about it in the comments below.